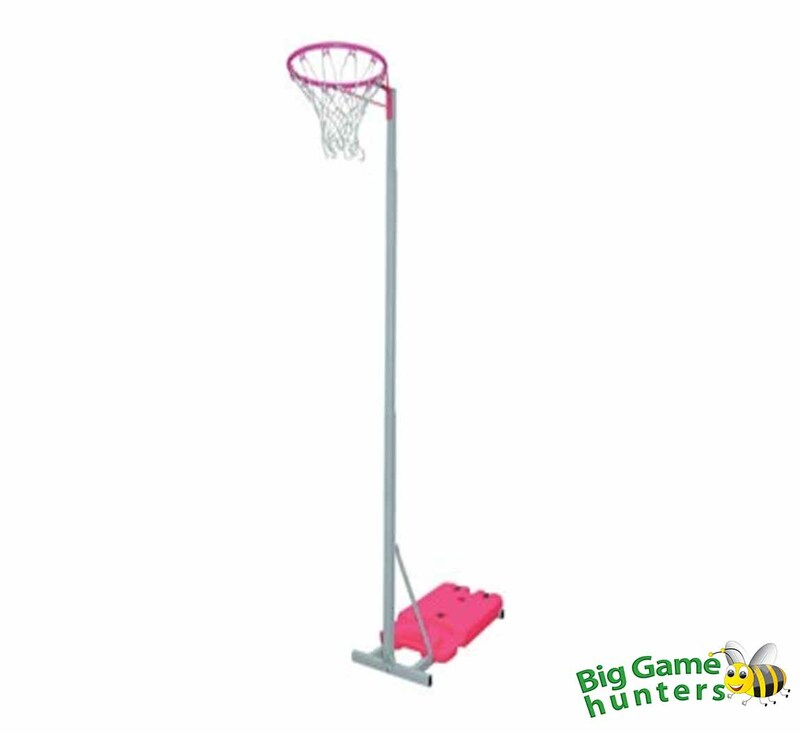 The Sure Shot pink junior netball post is a bright and cheerful unit, adjustable between 1.2m and 2.7m making it ideal for 5 to12 year olds. The removable pink ballast can be filled with either sand or water for a sturdy unit, we would recommend sand for a longer lasting more durable post. The 15inch steel ring can be used with either a size 4 or 5 netball depending on the skill level of the player. The netball stand has been powder coated for a longer lasting product that is suitable for outdoor use all year round. The 508 Netball post from Sure Shot is ideal for children learning how to play netball, suitable for ages 5 to 12 years old and is easily adjustable by a hand screw on the back of the netball post.